Despite some Stage Hypnotists intentions, Hypnosis is actually a natural state of consciousness that we enter into and out of many times each day. There is no magical skill behind the ability to go into Hypnosis, other than the skill of letting go. When someone finds out that hypnosis works in order to be a highly productive tool and that it can be used to change the way people actually perceive life, they often become interested in either learning self-hypnosis or learning how to be a hypnotist. There are a number of ways to learn hypnosis, it can be self-taught, work with a current hypnotist on a mentor basis, or one may enroll in sessions using classroom programs and thus attend a respected, fully licensed hypnotherapy school. There are very many wonderful learning institutions that can teach excellent hypnosis methods. Hypnosis is a method used in order to remove all negative thought, and supplant them with positive thoughts. Hypnosis can be a expansive and highly complex subject matter to handle or it could be as simple as meditation and self-reflection. Unless you are going to learn hypnotism directly from a practicing hypnotist, you are probably best to look through the Internet to benefit from a learning institution. 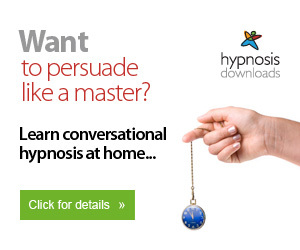 Or you may even wish to take an online course in hypnosis. It truly depends on what you intend to do with your newly found vocation. Because hypnosis taught in a classroom is more structured, they can delve deeper in a more sophisticated and deeper level. Lectures are a more practical way to learn, and generally offer a practicum as well, which is a supervised practical application. Hypnosis for such students usually turns out to be a life-changing event, and a basis for overwhelming their life strategy. Thus they prefer to have a teacher-student setting. Ordinarily such teachers are actual hypnotherapists who like to share their expertise in the art of hypnosis. When learned in a school that specializes in teaching such things as hypnosis, the student may find though that the depth of study becomes highly technical, but on the other hand many students relish that and learn all they can using that method. Persuade and influence others by communicating with their subconscious mind so that they too can persuade and influence others. Teach others how to take control of their lives. If you seriously wish to take up being a hypnotist or hypnotherapist, simply fill in your details below and tell us what it is you would like to learn. One of our staff will contact you and discuss how hypnosis can change your life and advise you of your best options.